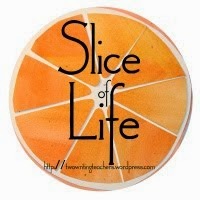 And thanks for the March Slice of Life challenge with the Two Writing Teachers community for Day Twenty-Three of Thirty-One of the Slice of Life Challenge in March. Thank you Stacey, Tara, Anna, Betsy, Dana, Kathleen, Beth, and Deb. An added bonus: please be sure to read the comments. Some have posted other interesting links! When I taught, one of my goals for my students was to learn there are many ways in our world to communicate stories. And I wanted them to try those ways, to find their own "voice" whether it was in words, song/sound, or varied areas of the visual. I want you to imagine using this book with students, to ask them to find something they can photograph that might persuade someone to change their thinking about that something. There are so many ways to make a difference, and Dorothea Lange used photography. 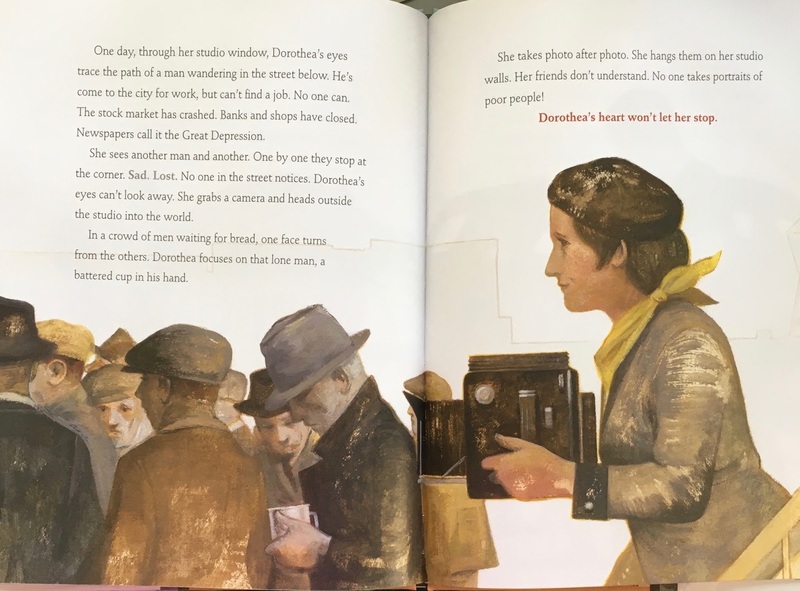 This is now the time of the Great Depression and one day Dorothea notices a bread line, a lone man with a battered cup, the one for begging. She takes photos, and her friends don’t understand. The book reads: “No one takes photos of poor people.” She persists and travels, despite the leg pain and the fatigue. She won’t let people forget, and the media publishes those pictures. Just as I know the pictures, I bet you do, too. She is known to have started the idea of documentary photography, was influential in several captures of important parts of our history. from Dorothea: “I know how to keep an expression. . .that would draw no attention, so no one would look at me. I have used that my whole life in photography. . . . I can turn it on or off. If I don’t want anyone to see me I can make the kind of face so eyes go off me . 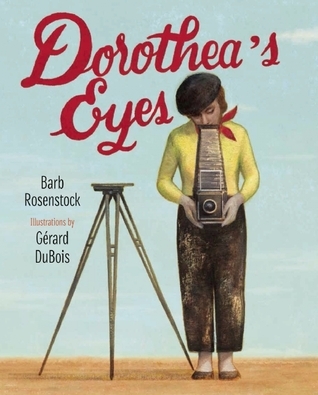 . .
Barb Rosenstock offers additional important back matter, a partial bibliography, books for further reading, some of Dorothea's famous photographs and a timeline. Dorothea's first look at the bread lines, and that man with the cup. Such a story it tells. Thanks very much, Ruth. In the back information they did say that she wasn't able to publish those pictures from the internment camps. I didn't know that they still hadn't been released. I loved seeing Russell's work and studio in Cody, Wyoming. Another book I need to get! Thank you for the wonderful descriptions! You're welcome, Loralee. It's a very good introduction to her life. You convinced me that I need this book. Great review, Linda! This books looks amazing -- added to our TBR stack. I wrote about a photograph today - so your topic resonated with me. So much we can see in a photo. Thank you for sharing. Wonderful to hear about your photo, just what I love about reading everyone's posts. Thanks, Clare. I've added this one to a list of books to get as well. What a beautiful way to teach students to capture stories. Thanks, Kendra, I hope you will try the idea with your students and share the book, too. Of course, this is a book for me to read. Thank you,Linda, for this treasure. Look what I found: https://youtu.be/hAeKTKMWpkM that you will be interested in taking a peek. I thought that some of you would share other links, Carol. Thanks very much! Thanks Lynn, for sharing with your friends. I imagine you would like reading this story, too. Short, but there is a lot I didn't know about her. What a powerful review. I love how this book can be used to inspire students to see the world though a passionate perspective. “Am I using my eyes and my heart?” What a thought. Knowing the story behind the pictures gives us an author's point of view. Not just the story they portray. Thank you, Linda. 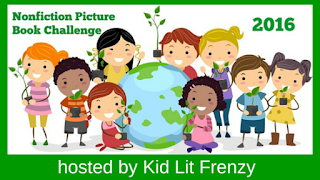 Thanks, Julieanne, I suspect your students would enjoy the challenge of finding an important picture themselves. Thank you for sharing another great book. I love all the great biographies that have been published that introduce students to people they should know. 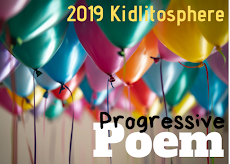 But especially how they reveal the personalities and passions of the person and open the world of possibilities to students who think "What can I do?" I love what you wrote, opening the world of possibilities! The recent years have brought such wonderful stories of people we should know. Thanks. What an amazing life and story. Can't wait to read it. Love how she needed to use both her eyes and heart. Yes, isn't that a lovely quote that Barb Rosenstock included? Thanks, Beverley. Such a fantastic story - I was familiar with her photography, but not her life! I'm so glad these stories are being told, stories of ordinary people who did extraordinary things just by being themselves and being the best versions of themselves they could be. I'm happy to see them told, too, Jane, enjoyed this one and so many others. This was my favorite pb biography I read this month. Something about her work just made an impact on me. And of course anyone who overcomes a physical disability has me cheering for them!! And there is a poignant moment when after she was teased, her mother told her to try to act more natural. Yes, it's a great book, Michele. Our fifth grade has one unit of inquiry about photography and how to use it to tell a story. This book is a great resource for this unit. Thank you. How wonderful that you have a unit of photography that focuses on story, Terje. I hope you enjoy the book! I love her pictures, and I missed this book! Thank you Linda. I also love the idea of an inquiry unit that digs into photography and story telling. Lots of uses for this resource! Yes, I wish I could use the book, will have to try it myself! Thanks, Melanie. I love picture book biographies and I love Dorthea Lange's work, so that match means I need to seek this book out. I'm so glad publishers are getting more books about artistic people. I agree, Elsie. There have been some wonderful ones recently that I've loved. Hope you are able to find this one! The books you share are always so inspirational and make it to my TBR list. now have another to add. Thanks, Linda. You are so welcome, Bob. Glad to increase the pile! I love what you say here Linda about many ways to communicate stories. I am going to get this book. I think it looks incredible. I enjoyed it quite a lot, and even more because I think students would be inspired by it. Thanks, Carrie. Wow - how did I not know about this book? Thanks for this wonderful review, Linda! You're welcome, Tara, hope you find it good, too, and useful in class. Sounds like a neat book! I loved the title of your post. How important it is to "really look", and how rarely we do. She gave us all a gift forever, didn't she, Jennifer? It feels as if her childhood gave her "that" gift. Aly shared this book today as well--it looks so good! Cannot wait to read it. I know she did, and we shared the same one last week! Hope you enjoy it too, Kellee. 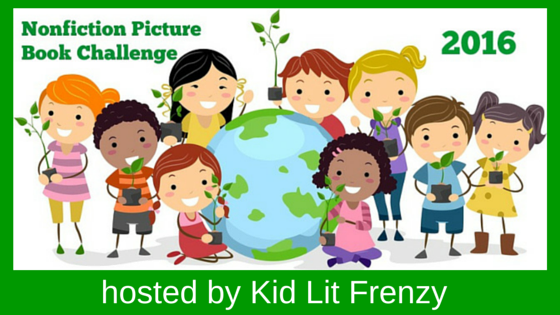 I love the idea of kids telling stories through photos! 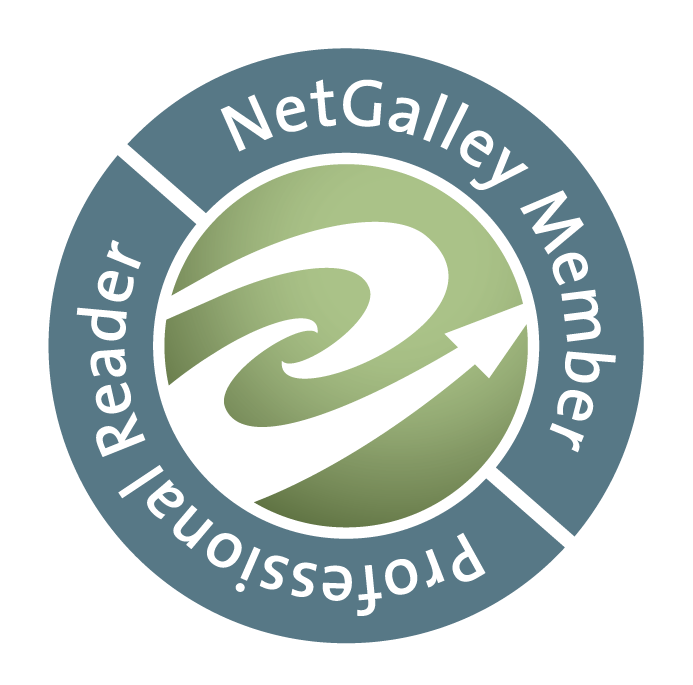 Thanks, Annette, love the links for added information. I have this one ordered and look forward to reading it. She was so wonderful at seeing people - really noticing and looking. So glad you ordered it, Crystal. I enjoyed the book very much.